In the last decade Liverpool have struggled to meet the standards of their illustrious predecessors or of the current powerhouses of English football. As a result, when Anfield witnesses the rise of another potential world-class superstar in the famous red shirt, talk immediately begins of a future move away from the club, inevitably to either Barcelona or Real Madrid. The Reds have seen too many of these figures swap Merseyside for Spain in recent years, with Xabi Alonso sold to Real Madrid and Javier Mascherano, Luis Suárez and Philippe Coutinho all moving to Barcelona. Moreover, the fact that the grass has always been greener for these departing players has made these transfers hurt even more for Liverpool. However, whilst the Spanish giants remain the two biggest clubs in world football, their stranglehold over the game may just be showing a couple of cracks. Real Madrid have won the last three Champions League crowns – including a victory over Liverpool in the 2018 final in Kiev – but have lost their attacking talisman Cristiano Ronaldo. Meanwhile, Lionel Messi is not getting any younger for Barcelona, with their defence also not at the same standard of the previous decade. You only have to look at the fiercely competitive league table in Spain to see that the big two are no longer having matters their own way. Yet it will take a drastic decline on the pitch, or serious financial issues off it, for the two clubs to lose their magnetic aura for the best players in world football. More importantly for Liverpool, they have begun their ascent back up towards the world’s elite. Under Jürgen Klopp, the Reds have now achieved successive Champions League qualifications for the first time since 2009, and reached their eighth final in the competition this year, producing thrilling football to defeat the likes of Manchester City and Roma. Liverpool’s resurgence in the European Cup attracted the attention of the very best players, who are now looking to Anfield once again as a potential final destination for silverware and success – illustrated by Brazilian stars Fabinho and Alisson, who were signed this summer. Klopp’s Reds have also enjoyed an excellent start to this season, with expectations high that Liverpool can challenge and possibly overhaul Pep Guardiola’s Manchester City side for the Premier League title. The lure of Barca and Madrid will remain, and the transfer rumours will continue to persist, but if Liverpool can return to a position whereby they are in touching distance of the level of those two clubs, then fewer players will leave Liverpool for Spain. The latest Liverpool player to be subject to such speculation is their number nine, Roberto Firmino. The 27-year-old Brazilian arrived in 2015 from Hoffenheim at great expense and excitement and has improved year after year to become one the premier strikers in world football. In short, Firmino makes Liverpool tick. Operating as Liverpool’s only main striker, Firmino arguably plays the false number nine role better than anyone else in the Premier League and possibly Europe. He is everywhere, making more tackles than any other forward, pressing in tune to Klopp’s demands and linking up with the likes of Sadio Mané and Mohamed Salah to devastating effect. Is there anyone out there quite like him? Certainly there is no one as perfectly suited to Klopp’s style of play. Mané and Salah are both mesmerising talents capable of sustained, world-class brilliance but there are more players in world football like them or with the potential to replicate the impact of Mané and Salah for this Liverpool side in the future. It is hard to think of any current top players or young talents who play in the same way as Firmino and with the same level and goal output, especially since the Brazilian truly found his goalscoring boots last season, with almost thirty goals in all competitions. Yet no one has enjoyed as many goals and assists under Klopp as Firmino, emphasising his importance to Klopp’s Liverpool. Can Liverpool hold onto Firmino? Firmino is good friends with former club teammate and compatriot Coutinho, who joined Barcelona in January for over £140m. Reports have suggested that Coutinho has recommended Firmino to Barcelona as a potential replacement for Suárez, who himself spent over three years at Anfield before moving to the Nou Camp. South Americans, in particular, have always struggled to resist the lure of Madrid and Barcelona, although Firmino’s route to stardom was an unconventional one in comparison to the likes of Coutinho and Neymar. For a long time, Firmino was relatively unknown in Brazil and even his success in Germany with Hoffenheim barely caused any ripples. Only once he settled down with Liverpool and became an integral part of the team under Klopp did Brazilians recognise the player they had on their hands, and even now he is fighting for a place in the Brazilian international side. Firmino owes a lot to Liverpool for setting him on the path of fame and success akin to most talented Brazilians, and therefore may not feel the same sense of destiny to join Madrid or the Catalan giants that Coutinho did, given he spent so much time out of the spotlight and is not quite the same typical flamboyant Brazilian that Coutinho and Neymar so clearly are. Firmino loves Liverpool and feels valued by both his adoring fan base and manager. 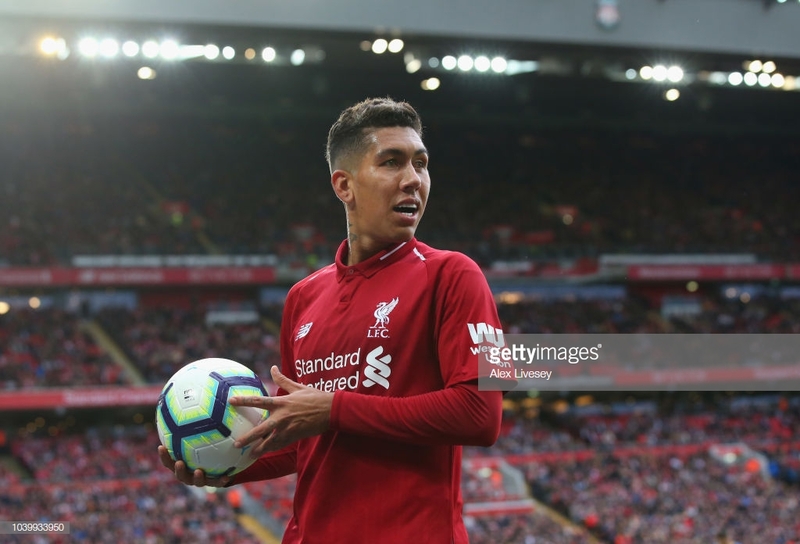 Klopp knew Firmino from his time in Germany and a mutual respect existed between the two even before Klopp became manager of Liverpool – the pair wanted to work together, and that relationship has flourished in the last few years. The forward signed a new long-term contract with Liverpool this summer, emphasising how happy he is at the club. He loves playing under Klopp and being a central figure in a top class side, which might not be the case if he left for Barcelona, given the number of attacking superstars they like to have in their squad, even if he is viewed as a perfect Suárez replacement. Barcelona obviously turns heads, and the bright weather is undoubtedly preferable, but Firmino is the model player for both Klopp and the Liverpool fans, and his future is more important than even that of Mané and Salah. Crucially, the man with the brightest teeth in the world appreciates his place at Anfield, and does not seem intent on changing that any time soon.